Many lenders have upper age limits. For those over 65, getting a mortgage is likely to mean taking it out over a shorter term such as 15-years or a 10-year deal. With shorter time to repay, the monthly premiums rise, leaving many in their golden years struggling to raise finance to buy a home or refinance on an existing home loan. The exception being the Lifetime Mortgage option, which has a huge drawback as it can affect what you leave to your loved ones as inheritance since the lender will want to sell the property to repay the loan. It’s a popular type of equity release, but that doesn’t mean it is suitable or the right choice for everyone. In a lot of cases, the best option is to use a traditional mortgage product rather than equity release. 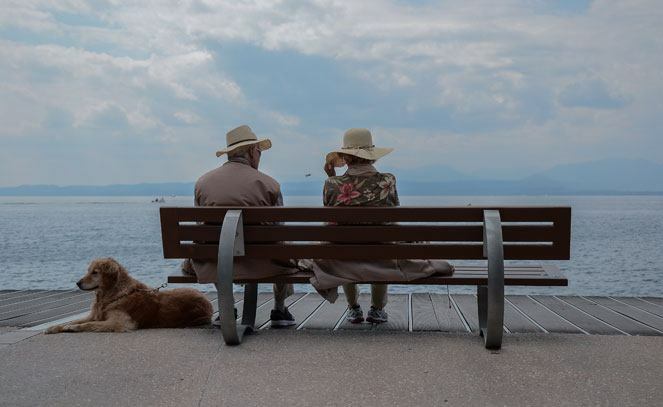 The majority of mortgages for pensioners over 70 will be restricted to repayment only so interest only mortgages for over 65s will be extremely difficult to find. What lenders will assess is your ability to repay over the terms you are asking for. If you’re over 60 years of age and asking for a 25-year fixed term mortgage, the vast majority will refuse. Most lenders have an upper age limit for applications that they’ll consider. There are lenders currently increasing the upper age limit that they accept borrowers to be at the age of the maturity (when the mortgage is fully paid). Nationwide are among the first high street lender to raise its upper age limit to 85 years old at the age of the mortgage maturity. Halifax pensioner mortgages will only extend to the age of 80 years old, and retirement mortgages from Barclays will only extend to the age of 70 years old. This may increase as more lenders are starting to understand that more people are still active in their senior years. Some still working beyond state retirement age and many still earning into retirement through BTL investments, pensions, savings, ISAs, and/or they have a second property for which some equity can be released through a home equity loan. The interest only mortgages that were available years ago were designed to be linked to endowment policies. Many of those policies didn’t perform as expected, leaving older borrowers unable to repay the capital on the home loan. If you find yourself in this situation, see Dealing with an Endowment Shortfall. This year has seen a couple of banks go head to head in a criteria war, with Santander leading the way to let older borrowers borrow through an interest only mortgage for over 65s by raising their upper age cap for this type of mortgage to 70 years old, the main reason being that many people are still working to the age of 70. Barclays will now accept interest only mortgages for over 65s, up to the age of 70 at maturity too. The best upper age limit on residential mortgages for pensioners: Nationwide! Nationwide mortgages now extend their residential mortgage to older people with an age of maturity of 85 years old. So at the age of 60, you could still take out a residential mortgage over a 25-year term. Naturally, that’s subject to you being able to meet all other lending criteria such as affordability. However, Nationwide also have a buy to let specialist lender branch – The Mortgage Works. Nationwide’s The Mortgage Works will accept Buy to Let applicants up to the age of 70 years old, and with the repayment terms extending from 5 years up to 35-year terms. Therefore, if you’re looking for mortgages for pensioners they pay off at 105, the only current option is not in the residential mortgage sector but instead in the commercial mortgage market through the Mortgage Works. Should you be a landlord with equity in other properties that could be an option to consider should you need to raise capital for any reason. The maximum LTV is 75% for this type of product. The more equity you have, the more favourable your application is likely to be viewed due to the lower risk level. That being said, a report by the Telegraph listed six specialist lenders that don’t apply upper age limits to residential mortgage applicants. Should you be looking for a residential mortgage and you don’t intend on entering the commercial market, those lenders may be worth considering. In order to get advice on which lender is best for which type of mortgage product, it would be best to work with a mortgage broker as they’ll be aware of the criteria each lender has and help you find the best deal. To be approved for an interest only mortgage, every lender will ask you to provide a repayment plan. Speculation doesn’t count for this. You can’t approach a lender asking for an interest-only mortgage basing your reasoning for affordability being that you fully intend to downsize when your kids fly the nest. That would mean speculating on future house prices and as you’ll know, those can flatline. Lenders will need to see evidence that you have a repayment plan that’s future proof, or as close to certain that your investment plans will materialise with enough capital to repay the mortgage at the end of the term. Obviously, you won’t need all of those listed, but enough of any to prove to lenders that you have a sound investment plan that will pay enough to repay the loan. Different lenders have different repayment vehicles they’ll accept. As an example, this document from Scottish Widows shows what they’d consider as acceptable for a repayment plan and the evidence you’d need to present them with to prove your ability to repay the capital of the loan. It’s important to note that when you have an interest only mortgage, lenders can ask you at any time to review and provide evidence that your repayment plan is still on track. If they feel it’s not going to be sufficient to cover the loan amount, they can ask you to change your mortgage from interest-only to another type of mortgage product that will repay the capital plus interest.